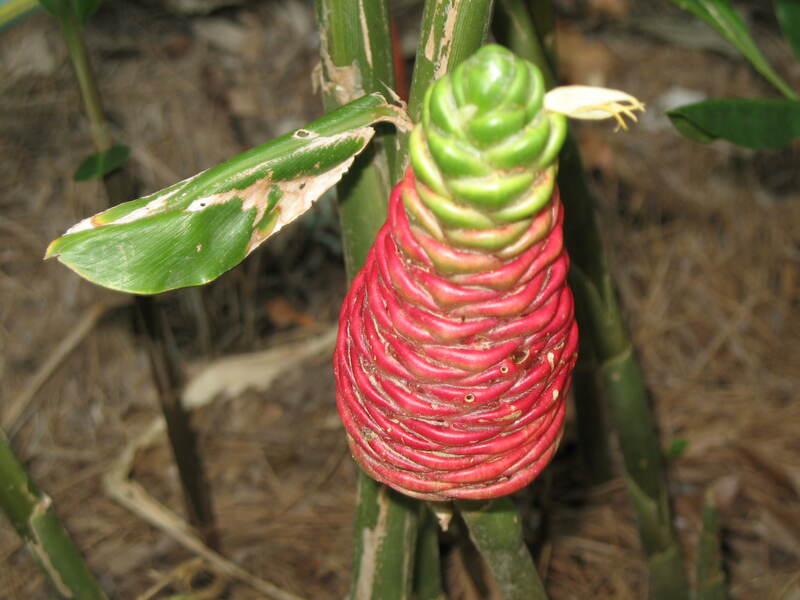 Comments: This semi-tropical ginger produces prominent stalked, red, pinecone-shaped floral heads that are actually bracts or modified leaves. Small white flowers emerge from between the scales of the cones. This ginger grows well in full sunlight to partial shade. Provide a well drained soil. The floral pinecones make long lasting cutflowers. This ginger is sometimes called the shampoo ginger because soapy fluid can be squeezed from the pinecone heads.